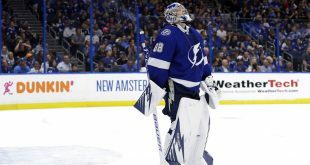 The Tampa Bay Lightning were victorious once again Thursday evening, edging the Boston Bruins 3-2. The Bolts now sit at 22-7-1 and have the most wins in the NHL this season. It didn’t take the visitors long to make an impact in Amalie Arena. Lightning defenseman Ryan McDonagh turned the puck over to Colby Cave, who then slapped a shot at Louis Domingue. Bruins right winger David Pastrnak was in the right place to score from the rebound with just over 2 minutes off of the clock in the 1st period. Colby Cave hops on a Tampa turnover and puts it on net and @pastrnak96 buries the rebound, his 20th of the season! Pastrnak now has 20 goals on the season, tied for 4th in the NHL. With five minutes left on the clock in the 1st period, the Lightning made their way back into the game. After a scramble in front of the Bruin net, Lightning right winger Nikita Kucherov put the puck back into the middle for Brayden Point, who converted with a first-time shot. Point’s 21st goal of the season sees him atop the NHL alongside Alex Ovechkin and Patrik Laine. After no goals in the 2nd Period, the Lightning hopped out to an early lead in the 3rd. Lightning defenseman Dan Girardi gathered the puck and played it up to Alex Killorn. Mathieu Joseph bolted in behind the defense and was rewarded by Killorn with an intelligent pass, leaving the Bruins goaltender left 1-on-1 with Joseph, who slotted the puck home to make it 2-1 with 17:20 left in the game. The Lightning wasn’t done yet. Less than two minutes after Joseph gave Tampa Bay the lead, Anthony Cirelli extended it to 3-1. Steven Stamkos, operating without a stick, was able to block a long-distance effort from a Bruin player. He then slapped the puck up to Cirelli. Cirelli sped away from the Bruins defense and put the moves on the opposing goaltender, sliding it past him to make it a two-goal lead. The Bruins weren’t finished either. With just under two minutes left on the clock, David Krejci received the puck off of a faceoff and fired it from distance through a crowd of bodies to make it 3-2. Krejci's shot from the point finds it's way through to make it 3-2 with 1:45 left. However, the Bruins would be unable to get another before time expired. 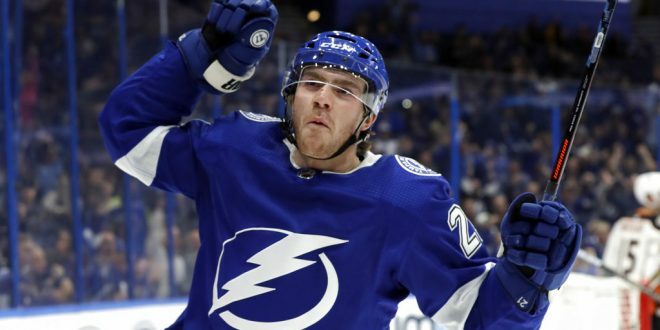 With the victory, Tampa Bay goes to 22-7-1, good for most wins in the East and the entire NHL. 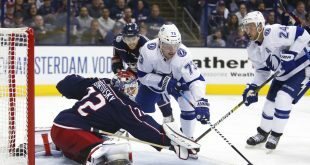 The Lightning’s next test is against the 17-7-5 Colorado Avalanche Saturday evening at 7 p.m.